When the film begins we find Lee being rude and impatient towards his customer as he fixes their pipes in their apartment. Seemingly, the nice man has no reasons to be so ruthless, however, with a flawless move to the past, we find him as a happy husband with a beautiful wife, Randi (Michelle Williams) and three adorable kids, which gives us a heartbreaking hint explaining why someone like Lee could have changed from the inside so significantly. For that, there was no need for the writer/filmmaker Kenneth Lonergan to put the credit where we could easily tell the past and the present. The film gradually flows beautifully from one scene to another, allowing us to live with Lee’s loss every minute. In the meantime, Lee’s return to Manchester awakes painful memories he never really stopped living without, and that, I must say you will encounter with him as well. MANCHESTER BY THE SEA is an emotionally overwhelming film that’s impossible to watch without a heavy heart. Casey Affleck’s breakthrough performance as Lee Chandler is, in a way, shocking and joyful experience. It’s hard to imagine what Affleck had to do in order to transform himself into the gravely mourning man whose pain is unimaginable but real. Michelle Williams might not have enough screening time, but was enough for us to see how great and extremely talented an actor she is. But I guess it was Kyle Chandler and Lucas Hedges’ moment of stardom when both actors delivered a high caliber performance that won’t be quickly forgotten. 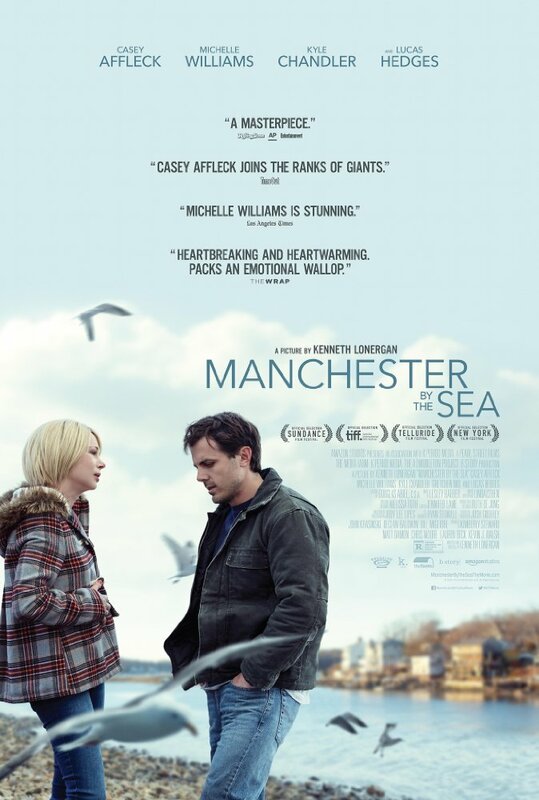 In conclusion, Kenneth Lonergan’s MANCHESTER BY THE SEA is a film about grief, a life that is sometimes unfortunate for many people. It’s about a man whose life is struck by one tragedy after another. It’s about a family who has to unite or reunite for good. But this film, surely, is not about redemption, forgiveness or possibilities to turn the page and start living a life from the beginning. And how could one do that, after an awful night that takes everything good a beautiful life had to offer?